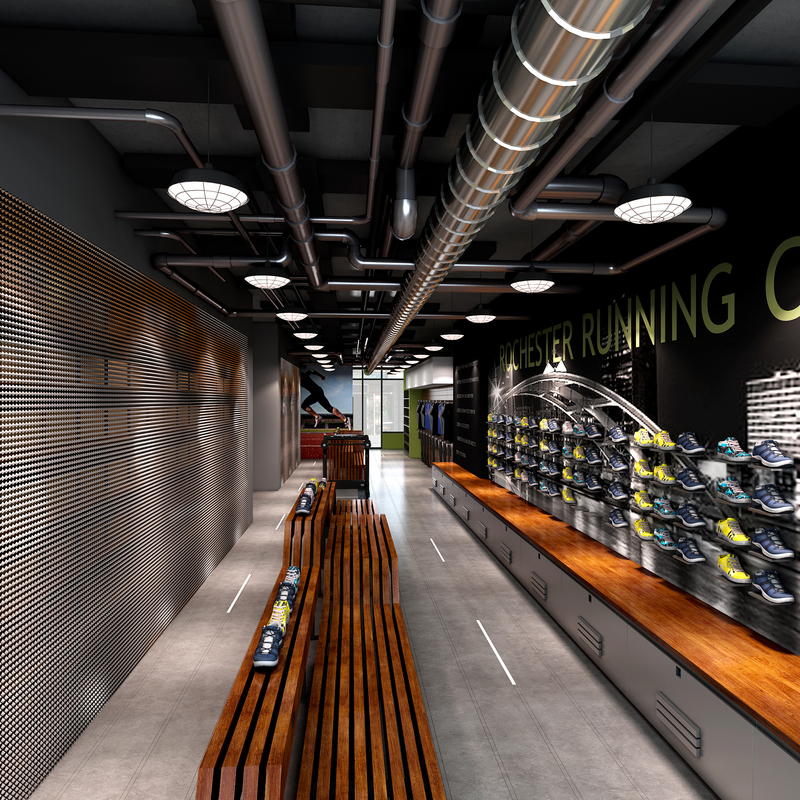 New custom design for a running apparel store in a new construction mixed use facility in Rochester, New York. This store is across from the hospital and right outside the Rochester Institute of Technology and is expecting the majority of clients to come from the two facilities. 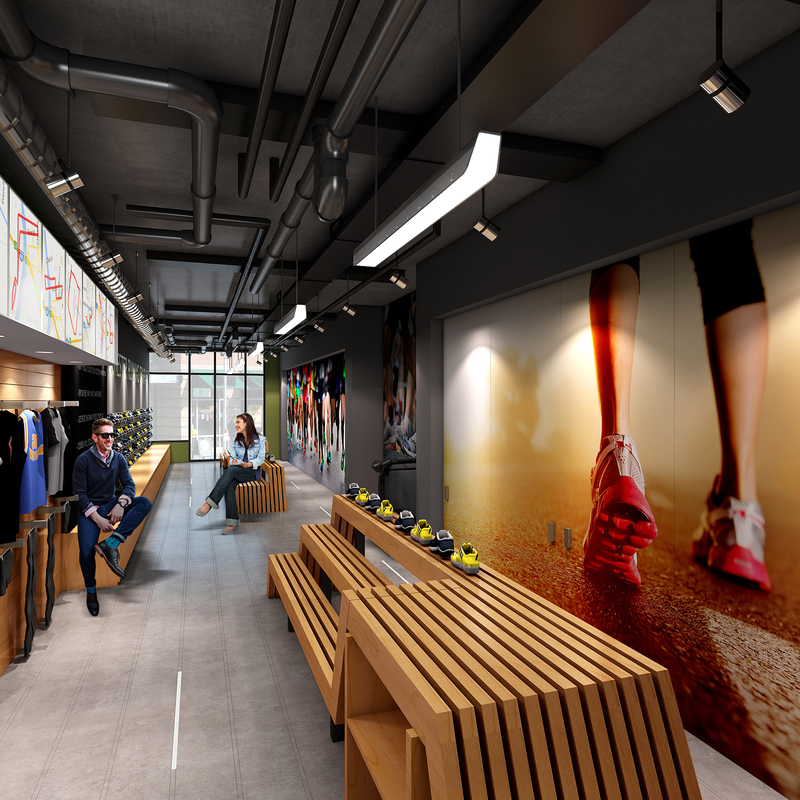 There will be state of the art running treadmills and equipment to test customers running strides to determine the best shoe to meet expectations. The colors are dynamic and reflect the owner’s vision and targeted demographic.